When one of my children spoke those words, I stopped dead in my tracks. She looked nervous, like maybe she was going to get in trouble for wishing to get sick. I glanced at the overstuffed calendar and considered the overflowing curriculum basket. I thought about possible repercussions for leaving things undone. I almost said no to her heart’s cry for a day off. As a homeschooling mama who also works outside the home and has an online ministry, my days are often filled to the brim with good and necessary tasks. But my daughter had unknowingly verbalized exactly what I’d been thinking and hadn’t dared to say out loud. I moved around some appointments then crossed a few non-essentials off my to-do list, and we spent a day doing the things we’d do if we were actually sick. Resting, reading, eating toast, and watching movies were top priorities that day. But nobody died because I took a day off. The world didn’t end just because I watched a movie in my pajamas in the middle of the week. What appeared so unnecessary according to the world’s standards was incredibly nurturing to my daughters’ and my souls, and to our relationships. You’d think we have unsick days every week from the way my girls talk about them, but really it’s only a few times a year. I pencil them in like an appointment that can’t be broken. I do so many things wrong. I make a million mistakes and get way too wrapped up in a busy schedule. But unsick days help redeem the bad moments. People will tell you to ignore the mom-guilt. And while I’m not one for wanting to carry around unnecessary baggage either, I do believe that guilt can be an indicator. If we feel guilty because we’re so busy that we’re not spending enough time with our kids, perhaps something needs to change. Maybe you’re reading this and feeling discouraged because you know you truly can’t take an entire day off anytime soon. I get that. I have those seasons, too, and it is tough, but God gives us so much grace in those times. Even if you can’t take a full day off, I want to encourage you to really look hard at your schedule. Is there anything – anything at all – on your calendar that is unnecessary? 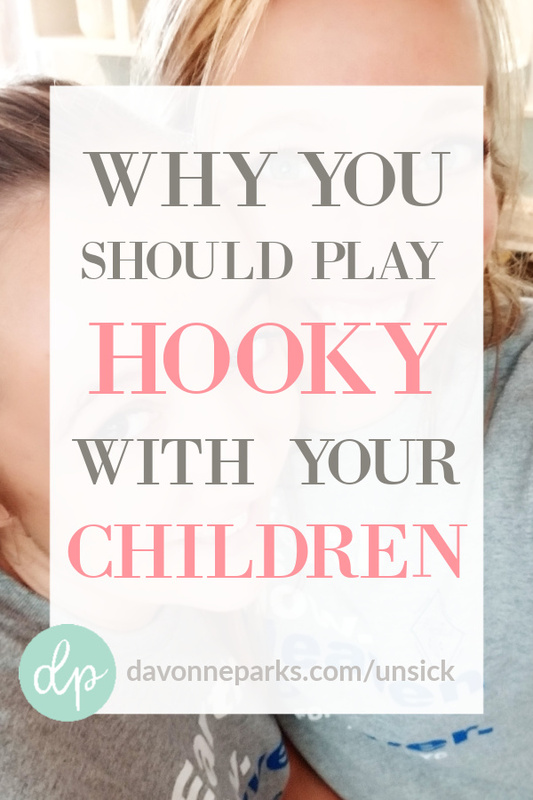 Can you take an evening, or a Saturday morning, or even just an hour or two a few nights within the next couple of weeks to simply hang out with your kids? We are each the boss of our own schedule. There will always be something vying for our attention. Only you can set your limits. Think about 10 or 20 years from now, and pretend you’re looking back on your life today. What will you be proud of? What will you regret? I know I’ll regret the days I let scrolling through social media, or setting too high of standards for housekeeping, or wasting time on unimportant things get in the way of nurturing my relationships with my children. I won’t regret a single moment that was spent fully present and focused in their lives. I won’t regret that I missed out on other opportunities because I’d chosen to spend that time mothering my children as well as I could. I definitely won’t regret unsick days! I’d love to hear: What’s one thing you’ll do this week to nurture your relationship with your loved ones?